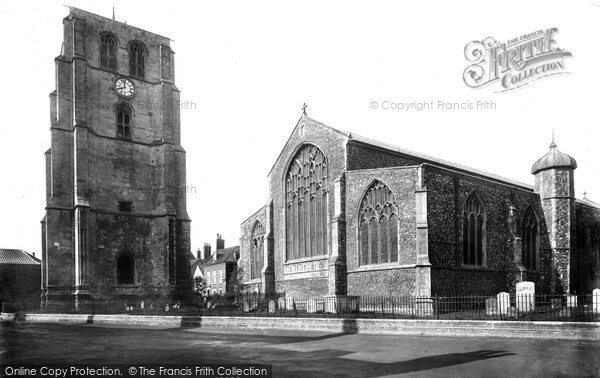 Loud Amen Sunday At Beccles Church - a Memory of Beccles. Stafford W Brown was a boarder at Beccles College during WW1. The last three Sundays of every term each had a special feature. First came One Button Sunday, when every boy undid the top button of his jacket for the day. The second was Pinch Pudding Sunday. At lunch, after the main course, jam tart was served, and the custom was for boys to steal each others portion by stabbing with their fork and removing the tart to their own plate. The favourite however was Loud Amen Sunday. This was the last Sunday of term, and as usual, the whole school attended evening service at the parish church. The boys sat on the left and the parishioners on the right. The last hymn was always "Jesus Shall Reign Where E're the Sun" the last line of which is "And earth repeat the Loud Amen". Tradition had it that the last two words were sung/shouted as loudly as possible. There was always an exceptionally large congregation on this occasion! On this day, the Headmaster would mention in his notices at morning assembly that he hoped that all boys would behave like the gentlemen they were striving to be, especially at the pending church service. He was always disappointed - or was he? He certainly didn't arrange for a different hymn to be sung, and the Loud Amen Sundays continued, at least until 1919, when Stafford left the College. A memory shared by Barbara Brown on Aug 19th, 2010. Send Barbara Brown a message.